Gooooooooooood moooooornnning, PBF! 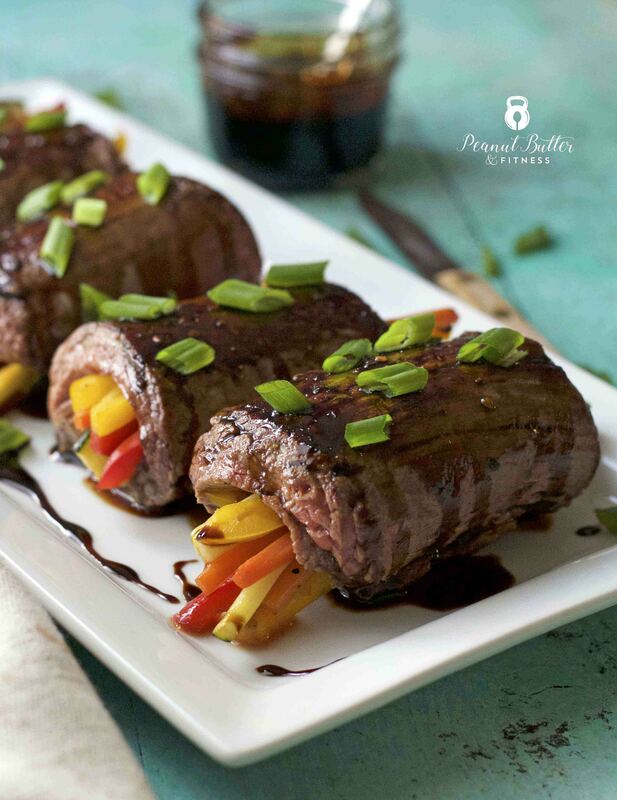 Today I’m bringing you a playful twist on flank steak – Balsamic Glazed Steak Roll-Ups! I don’t eat a lot of red meat, but when I do, flank steak is usually my go to. 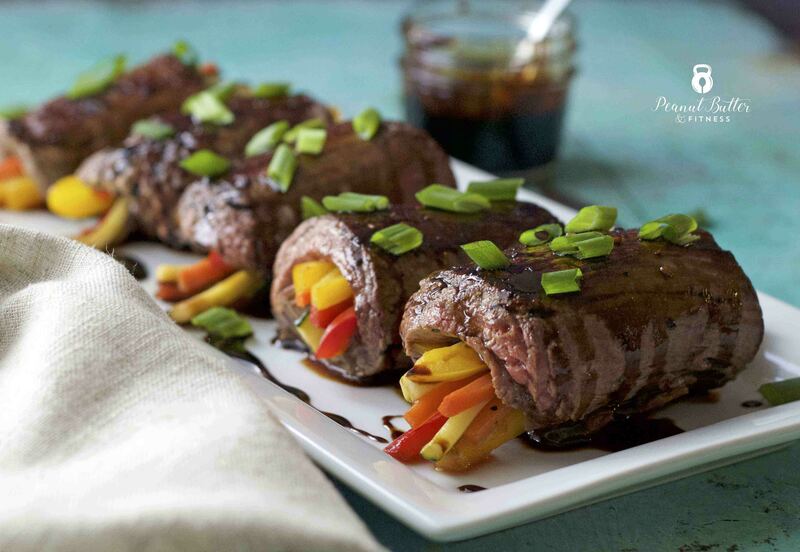 It’s lean (especially if you get grass-fed!) but still easy to cook and eat. 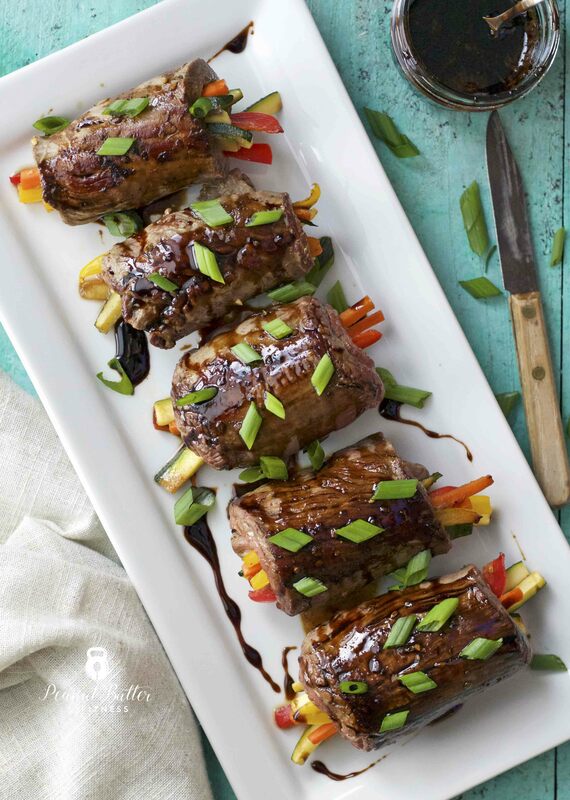 I stuffed strips of flank with some julienned and sautéed veggies, then rolled them up, cooked them up, and topped them off with some balsamic glaze. 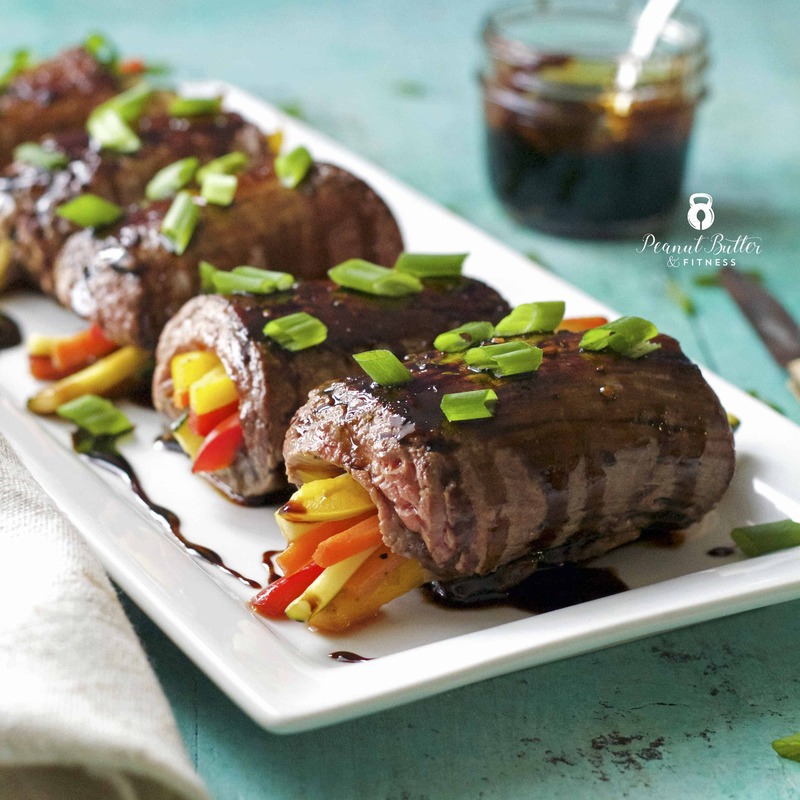 I love how reducing the balsamic vinegar ups its flavor intensity while giving the steak a slightly sweet and tangy accompaniment. How are everyone’s New Year’s resolutions coming along? We’re almost 3 weeks in to 2019 and I know this is when motivation can start to wane. Fun fact: I didn’t actually make a New Year’s resolution this year. It seems like a lot of resolutions end up putting unrealistic pressure on people to drastically change their lives, when small changes would work just fine and are probably more sustainable. In that spirit, I just re-committed myself to getting my nutrition and workouts back on track. For me, that means finding time for a sweat session about 5 days a week and at least coming close to hitting my macros. I know a lot of people loathe tracking their food, but counting macros (even loosely) keeps me mindful and accountable for what I’m eating. So far, so good…although this week at work has included a couple of long days and with those long days, no gym time and some working meals that were more indulgent than I would have liked. I’m not stressing about it though, I’m just going to get back to the gym and my meal-prepped food today. Hi Arami! Thanks for asking…looks like I forgot to include it. I just updated the nutrition info to reflect the fat content.